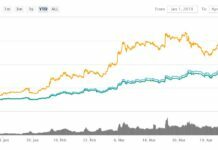 Altcoin Why Has Crypto.com’s CRO Token Surged 380% in a Couple of Days? When a crypto asset goes on a parabolic moon shot it needs a closer look. One that is flying up the market cap charts at the moment is Crypto.com Chain, muscling its way into the top thirty with a 170% pump on the day. This time last week CRO was an obscure altcoin, flat lining at $0.0130 (333 satoshis). Things started to bubble up over the weekend but over the past couple of days this token has literally shot for the moon with a massive pump of 380% to $0.0625 (1600 satoshis). Very few altcoins have made triple figure daily gains but CRO is one of them with a 170% pump today alone. 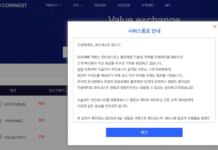 Daily volume has multiplied from a mere $90,000 to over $800 million and it appears that South Koreans are going crazy for Crypto.com at the moment. Over half of that volume is currently in KRW on the GOPAX exchange so what do they know that we don’t? The epic pump has increased CRO market cap over $200 million which has made it bigger than Decred, Icon and 0x and on a par with Qtum and OmiseGO. What is CRO and Why is It Pumping? Hong Kong headquartered Crypto.com is a pioneering payments platform that aims to increase crypto adoption through various payments channels including Visa cards. 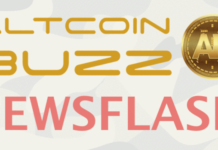 It claims to offer zero fees or markups and touts itself as the best place to buy crypto. 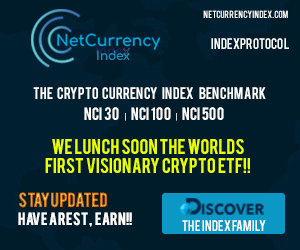 Last month the company launched its Vortex Trading Engine which pools liquidity from major exchanges globally and routes orders to them to ensure the best execution price. Last week the Crypto.com Pay system went live which has initiated the run of its native ERC-20 CRO token. It has had over 400,000 app downloads and over 125,000 MCO Visa card registrations worldwide. Today’s big spike has come from a listing on the Indodax exchange which taps into a potentially massive new fiat market – Indonesia. Deposits on the Indonesia Digital Asset Exchange start today and full trading will go live tomorrow. After South Korea and Japan, Indonesia is one of the region’s biggest crypto trading markets. The listing has obviously provided a big boost for CRO which the top performing altcoin in the top one hundred at the moment.